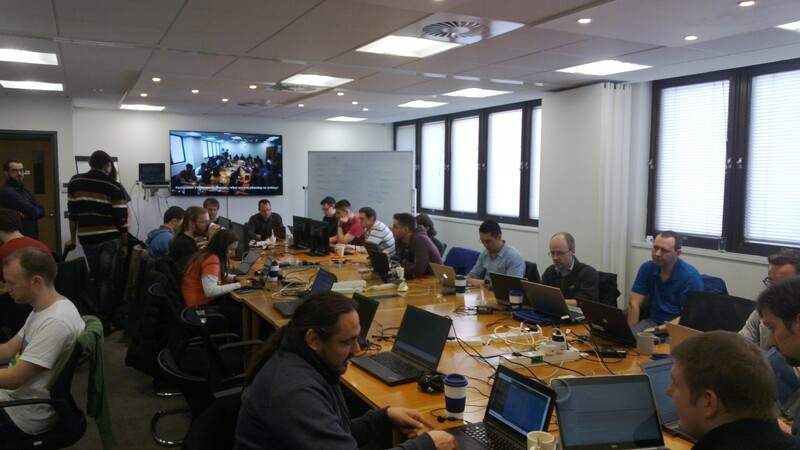 Last weekend was the GStreamer Hackfest in Staines, UK, in the Samsung’s premises, who also sponsored the dinners and the lunches. Special thanks to Luis de Bethencourt, the almighty organizer! My main purpose was to sip one or two pints with the GStreamer folks and, secondarily, to talk about gstreamer-vaapi, WebKitGTK+ and the new OpenGL/ES support in gst-plugins-bad. 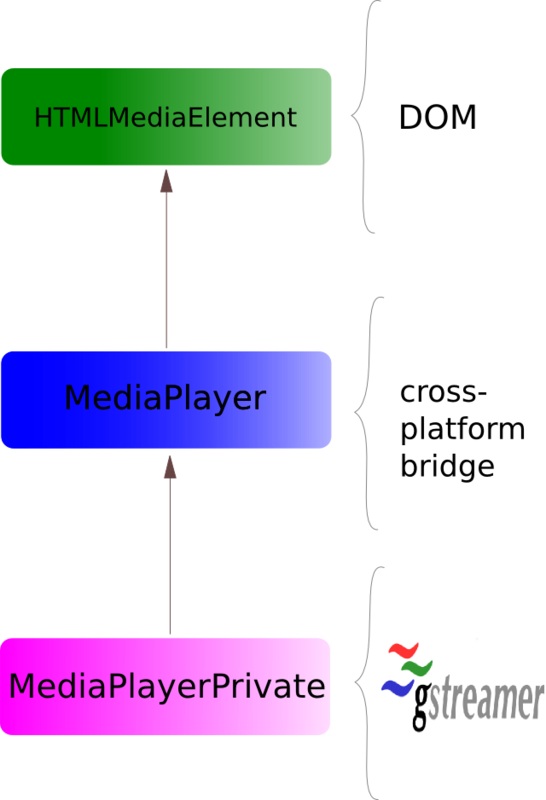 About gstreamer-vaapi, there were a couple questions about some problems shown in downstream (stable releases in distributions) which I was happy to announce that they are mostly fixed in upstream. On the other hand, Sebastian Drödge was worried about the existing support of GStreamer 0.10 and I answered him that its removal is already in the pipeline. He looked pleased. Related with gstreamer-vaapi and the new GstGL, we tested and merged a patch for GLES2/EGL, so now it is possible to render VA-API decoded video through glimagesink with (nearly) zero-copy. Sadly, this is not currently possible using GLX. Along the way I found a silly bug that came from a previous patch of mine and fixed it; also, we fixed other small bug in the gluploader . In the WebKitGTK+ realm, I worked on a new functionality: to share the OpenGL context and the display of the browser with the GStreamer pipeline. With it, we could add gl filters into the pipeline. But honour to whom honour is due: this patch is a split of a previous patch done by Philippe Normand. The ultimate goal is to ditch the custom video sink in WebKit and reuse the glimagesink, with it’s new off-screen rendering feature. 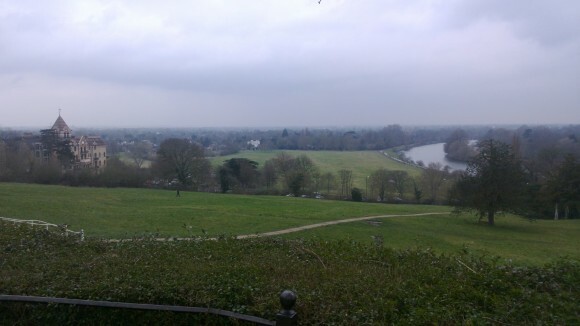 Finally, on Sunday’s afternoon, I walked around Richmond and it is beautiful. Thanks to Igalia, Intel and all the sponsors that make possible the hackfest and my attendance. The last Friday 25 of July, National Day of Galicia, started very early because I had to travel to Strasbourg, official seat of the European Parliament, not for any political duty, but for the GNOME Users and Developers European Conference, the GUADEC! My last GUADEC was in The Hague, in 2010, though in 2012, when it was hosted in Coruña, I attended a couple talks. Nonetheless, it had been a long time since I met the community, and it was a pleasure to me meet them again. My biggest impression was the number of attendees. I remember the times in Turkey or in Gran Canaria where hundreds packed the auditoriums and halls. Nowadays the audience was smaller, but that is a good thing, since now you get in touch with the core of developers who drive and move the project easily. Juan at the Igalia’s booth. Also I ran across with Emmanuele Bassi, setting up a booth to show up the Endless Mobile OS, based on GNOME 3. The people at GUADEC welcomed with enthusiasm the user experience provided by it and the purpose of the project. Personally, I love it. If you don’t know the project, you should visit their web site. The first talk I attended what the classic GStreamer update by Sebastian Dröge and Tim Müller. They talked about the new features in GStreamer 1.4. Neat stuff in there. I like the new pace of GStreamer, rather of the old stagnated evolution of 0.10 version. Afterwards, Jim Hall gave us a keynote about Usability in GNOME. I really enjoyed that talk. He studied the usability of several GNOME applications such as Nautilus (aka Files), GEdit, Epiphany (aka Web), etc., as part of his Masters’ research. It was a pleasure to hear that Epiphany is regarded as having a good usability. After lunch I was in the main room hearing Sylvain Le Bon about sustainable business models for free software. He talked about crowd funding, community management and related stuff. The next talk was Christian Hergert about his project GOM, an object mapper from GObjects to SQLite, which is used in Grilo to prevent SQL injection by some plugins that use SQLite. Later on, Marina Zhurakhinskaya gave us one of the best talks of the GUADEC: How to be an ally to women in tech. I encourage you to download the slides and read them. There I learned about the unicorn law and the impostor syndrome. 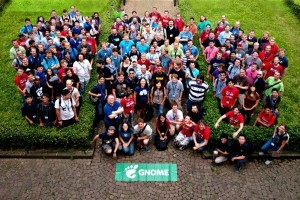 The day closed with the GNOME Foundation’s teams reports. Sunday came and I arrived to the venue for the second keynote: Should We Teach The Robot To Kill by Nathan Willis. In his particular style, Nathan, presented a general survey of GNU/Linux in the Automotive Industry. 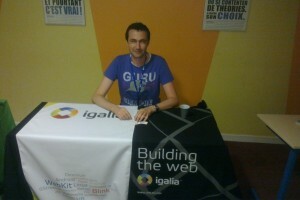 Next, one of main talks from Igalia: Web 3.12: a browser to make us proud, presented by Edu. It was fairly good. Edu showed us the latest development in WebKitGTK+ and Epiphany (aka Web). There were quite a few questions at the end of the talk. Epiphany nowadays is actively used by a lot of people in the community. After, Zeeshan presented his GNOME boxes, an user interface for running virtual machines. Later on Alberto Ruiz showed us Fleet Commander, a web application to handle large desktop deployments. That Sunday closed with the intern’s lighting talks. Cool stuff is being cooked by them. On Monday I was in the venue when Emmanuele Bassi talked us about GSK, the GTK+ Scene Graph Kit, his new project, using as a starting point the lessons learned in Clutter. 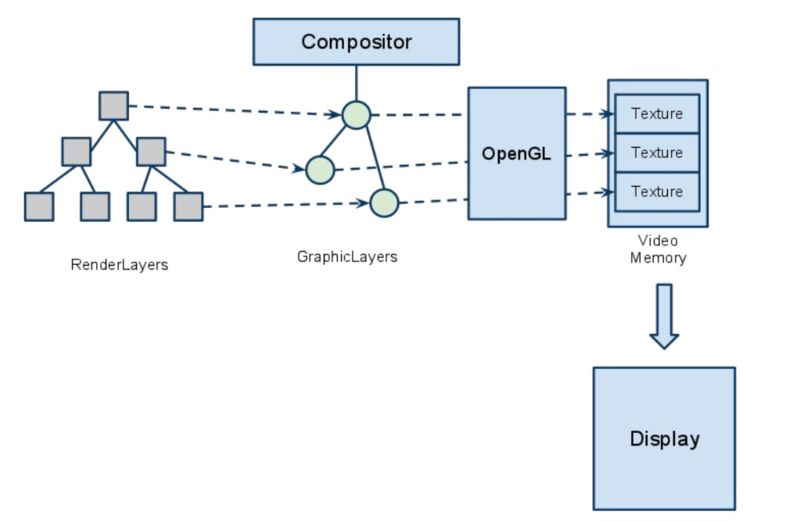 Its objective is to have a scene graph library fully integrated in GTK+. After the lunch and the second part of the Foundation’s Annual General Meeting, Benjamin Otte gave an amusing talk about the CSS implementation in GTK+. 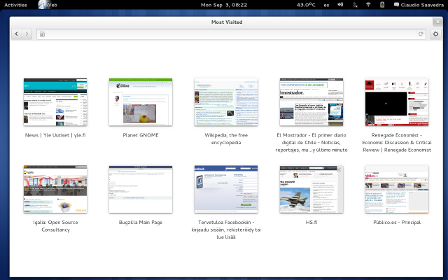 Later, Jasper St. Pierre talked about the Wayland support in GNOME. When the coffee break ended, the almighty Žan Doberšek gave the other talk from Igalia: Wayland support in WebKit2GTK+. 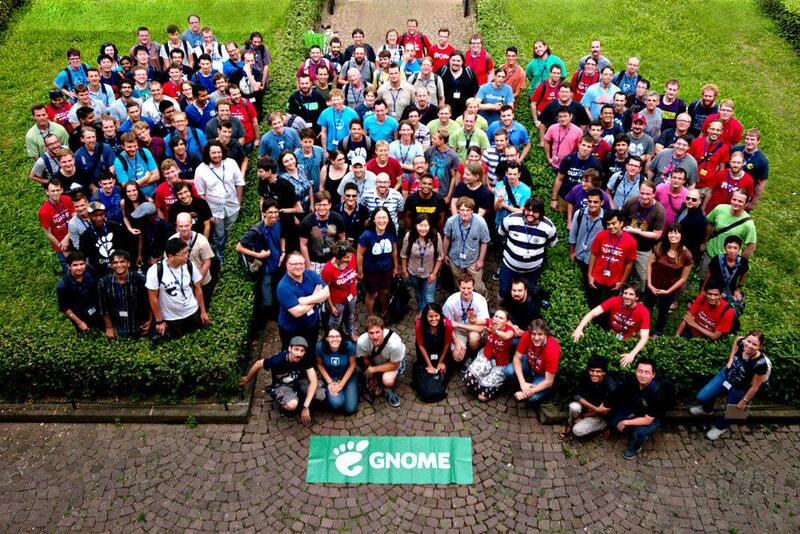 In the last day of the GUADEC, I attended Bastien Nocera’s talk: Hardware integration, the GNOME way, where he reviewed the history of his contributions to GNOME related with hardware integration and the goal of nicely support most of the hardware in GNOME, like compasses, gyroscopes, et cetera. Afterwards, Owen Taylor talked us about the GNOME’s continuous integration performance testing, in order to know exactly why one release of GNOME is faster or slower than the last. And the third keynote came: Matthew Garrett talked us about his experiences with the GNOME community and his vision about where it should go: to enhance the privacy and security of the users, something that many GNOMErs are excited about, such as Federico Mena. Later on, David King talked about his plans for Cheese, the webcam application, turning it into a DBus service, using the current development of kdbus to sandbox the interaction with the hardware. Afterwards Christian Hergert talked us about his plans for Builder, a new IDE for GNOME. Promising stuff, but we will see how it goes. Christian said that he is going to take a full year working on this project. The GUADEC ended with the lighting talks, where I enjoyed one about the problems around the current encryption and security tools. Finally, the next GUADEC host was unveiled: the Sweden Conspiracy: Gothenburg! Some time ago I needed to jump into the fix-compile-test loop for WebKitGTK+, but in the armhf architecture, speaking in terms of Debian/Ubuntu. To whom don’t know, WebKitGTK+ is huge, it is humongous, and it takes a lot of resources to compile. For me, at first glance, was impossible to even try to compile it natively in my hardware, which, by the way, is an Odroid-X2. So I setup a cross-compilation environment. And I failed. I could not cross-compile the master branch of WebKitGTK+ using as root file system, a bootstrapped Debian. It is supposed to be the opposite, but all the multiarch thing made my old and good cross-compilation setup (based on scratchbox2) a bloody hell. Long story short, I gave up and I took more seriously the idea of native builds. Besides, Ubuntu and Debian does full native builds of their distributions for armhf, not to say that the Odroid-X2 has enough power for give it a try. It is worth to mention that I could not use Yocto/OE or buildroot, though I would love to use them, because the target was a distribution based on Debian Sid/Ubuntu, and I would not afford a chroot environment only for WebKitGTK+. Quickly an idea popped out in the office: to use distcc. I grabbed as many board based on ARMv7 I could find: another Odroid-X2, a couple Pandaboards, an Arndaleboard, and an IFC6410, installed in them a distcc compilation setup. And yes, the compilation time went down, but not that much, though I don’t remember how much. Many of the colleagues at the office migrated from distcc to icecream. Particularly, Juan A. Suárez told me about his experiments with icecc and his Raspberry pi. I decided to give it a shoot. Icecream permits to do cross-compilation because the scheduler can deliver, into the compilation host, the required tool-chain by the requester. First, you should have one or several cross tool-chains, one for each compilation tuple. In this case we will have only one: to compile in X86_64, generating code for armfh. Luckily, embdebian provides it, out of the box. Nevertheless you could use any other mean to obtain it, such as crosstool. Second, you need the icecc-create-env script to create the tarball that the scheduler will distribute to the compilation host. The output of this script is an archive file containing all the files necessary to setup the compiler environment. The file will have a random unique name like “ddaea39ca1a7c88522b185eca04da2d8.tar.bz2” per default. You will need to rename it to something more expressive. Third, copy the generated archive file to board where your code will be compiled and linked, in this case WebKitGTK+. CCACHE_DIR=/mnt/hd/.ccache # /mnt/hd is a mounted hard disk through USB. Where <native_archive_file> is the archive file with the native tool-chain. <platform> is the host hardware architecture. <cross_archive_file> is the archive file with the cross tool-chain. <target> is the target architecture of the cross tool-chain. And that’s it! Now I’m using the big iron available in the office, reducing the time of a clean compilation in less than an hour. As a final word, I expect that this compilation time will be reduced a bit more using the new cmake build infrastructure in WebKitGTK+. Three weeks have passed since I wrote the last WebKit report, and they did so quick that it scares me. Many great things have happened since then. Let’s start with my favorite area: multimedia. Phil landed a patch that avoids muting the sound if the audio pitch is preserved. And Calvaris finally landed his great new media controls. Now watching videos in WebKitGTK+ is a pleasure. Rego keeps his work on adding more tests to WebKitGTK+, ando he also wrote a fine document on how to build Epiphany with WK2 from git/svn. Claudio, besides his work in the snapshots API that we already commented, retook the implementation of the notifications API for WebKitGTK+. And, while implementing it, he fixed some crashers in WK2’s implementation. He has also given us an early screencast with the status of the notifications implementation: Check it out! (video). Carlos García Campos, besides working hard on the stable and development releases of WebKitGTK+ library, has also landed a couple of fixes. 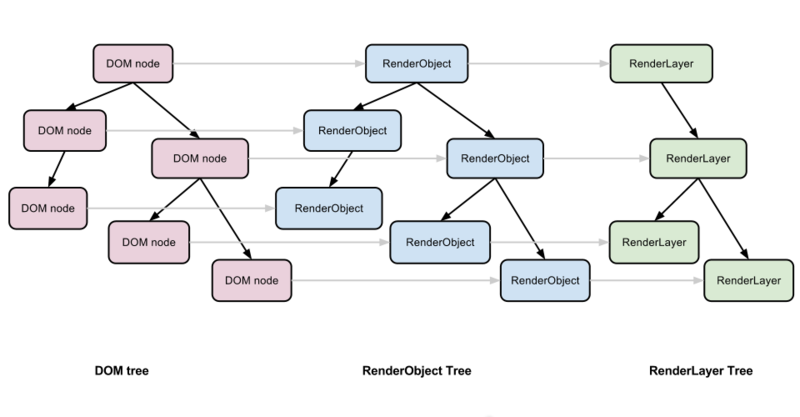 Meanwhile, Dape removed some dependencies, making the code base more clean. Žan, untiredly, has been poking all around the WebKit project, keeping the GTK port kicking and healthy: He fixed code; cleaned up scripts, autogenerated code and enhanced utility scripts; he also enabled more tests in the development builds. But his most impressive work in progress is enabling the Clang build of the GTK port. It is time for another weekly report on what is going on WebKit and Igalia. And this week we have a new face too, at least in these reports: Adrián. He enabled the opus codec in the MIME type list. After that, he decided to give a try to a native compilation in armv5tel board. Crazy? A bit, but fun too. Rego continues his hard work on enabling tests for WebKitGTK+, like testing the text direction setting, or unflag blocked tests that already pass, and many other that are still work in progress. Also, he got landed his patch for the bug found in the GtkLauncher. Claudio, whilst he waits for the review of his API to retrieve a snapshot, he retook the Notifications API work for WebKitGTK+, particularly for WebKit2. Also, and just for sake of landing something, he fixed a couple of minor compilation glitches. Philippe still kicking the fullscreen support in WebKit using GStreamer. And for relaxing purposes, he updated this patch for AudioSourceProvider. Žan works tirelessly keeping the bots working as good as possible: disabling the build of wk2 on EWSs, meanwhile the wk2 storm appeases; cleaned building configuration options, removed deprecated methods for unit tests, enhanced the webkit-patch script and much more. Besides this needed work, he also started to hack on completing the WTFURL implementation for the WebCore’s KURL interface. WTFURL is pretty much what WebKit (as a project) would like to use in the future. WTFURL is based on the GoogleURL code (which is what the Chromium port is at the moment using as the backend of KURL). The great WebKit hacker, Martin Robinson is exploring uncharted territory in the project: He’s trying to get away from port-specific things, by scratching in the core stuff, but the serendipity showed up, so he found some pretty serious port-specific bugs that have relatively straight-forward fixes. Carlos García Campos cooked a patch for fixing the WebKit2 GTK+ API by implementing the resources API, removed recently, using injected bundle. This is another effort to bring back WebKit2 into WebKitGTK+. Dape is still pushing the Qt/WebKit2 spellcheck support with a new iteration of the patch. He also worked on the removal of the GDK dependency from ImageDiff. Finally, I finished a first iteration of my patch for pitch preservation, and also it got landed! Igalia WebKit week: welcome Žan and Rego! This a new weekly WebKit Igalia’s report. And the last week has been a shaky one. Let’s start with a warm welcome to Žan Dobersek as collaborator student, who is working hard in a lot of cool matters: gardening the bots, cleaning up the Coverity run output, modifying the WebCoreTestSupport to decrease the dependency WebKit2 API, digging in a stack size problem in JSC, and much more fun stuff. Meanwhile Joanie, after a lot of restless hacking hours, could fix a crash in tables accessibility, and saving us from many other accessibility crashes. She is working to make the world safer for table users everywhere! But we have more new faces around: Our dear colleague, Rego, is getting his feet wet, and he started finding and fixing new bugs and he is enabling more tests in the Gtk+ port. Claudio is pushing the accelerator pedal for the snapshot API in WebKit2. With this API the applications would retrieve a snapshot from a webview as in the Overview mode in Epiphany. Philippe is working on the fullscreen video porting the GStreamerGWorld module to GStreamer 1.0, while he is still hacking on the AudioSourceProvider for WebAudio. And the last but not the least, Dape is working real hard on the Qt spell-check support, and he also proposed solutions for Qt WebNotification support. And that is all for now. See you! Author vjaquezPosted on January 24, 2013 April 18, 2013 Categories Planet Igalia, WebKit ReportTags webkitLeave a comment on Igalia WebKit week: welcome Žan and Rego! In summary, in these last three weeks we have had 15 commits and done 23 reviews. Martin and Carlos have been working on the authentication mechanisms. Now they can be hooked ,through the web view API, by the applications, which could take control of the dialogues and credentials handling. Martin has also been dealing with text rendering with complex layouts (such as Arabic). This effort leaded, finally, to the removal of Pango in favor of Harfbuzz. Carlos, since the last year, has been working on his injected bundle patch, which offers a mean to support loading plugins in the web process using injected bundle. Hence, through DBus, an application could load a plugin to communicate, indirectly, with the Web process. This approach is supposed to be the milestone for the DOM bindings in WK2GTK, and also provides a mean to pre-fetch DNS registries. This patch has been happily pushed just recently, in the second week of January. If this was not enough, Carlos also released the development version of WebKitGTK+ v1.11.4. Now let us go to the multimedia realm, my favorite land. Philippe finished the port of his patch for WebAudio support to GStreamer 1.0 as backend. And now he is porting the full-screen support in Gst 0.10 to Gst 1.0 in order to reuse ans share the same base code. Aligned with WebAudio, Philippe is developing a new audio source provider that gathers raw audio data from the MediaPlayer and pipe them into the AudioBus if it is required. Xabier has been working to deliver a nice and neat HTML5 media controls, using stylable GTK+ controls. And myself, I’m still playing with the audio pitch preservation. Another great landmark for us is a11y, and here Joanie has been working hard to bring back the accessibility tests on GTK to a sane state. And also keeps her efforts to enable an access to WebKit for Orca. In other sort of things, Berto has been fighting against a bug on GtkLaunch, which was shown in Epiphany too when displaying only images. Meanwhile, Dape, lurked on spell checking support for Qt WebKit2. And Sergio enabled, by default, the WebP image handling.